Published By – Imagem Songs Ltd.
Limited edition "Indies only" die-cut sleeve. 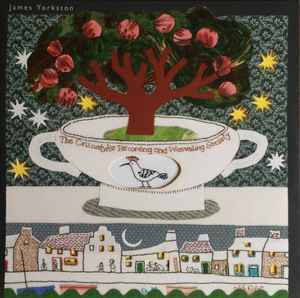 All songs recorded and mixed at Livingston Studios by Jonanthan Gilmore except 'You & Your Sister' which was recorded by James Yorkston on his phone and Side 4 which was recorded at Anstruther Harbour and mixed by James Yorkston. Livingston Studio assistant engineer: Frankie 17 Raniey. Additional recording at Chamber Studios in Endinburgh, engineered by Graeme Young, assisted by Reuben Taylor. Additional recording at The Squarein Hoxton, London engineered by Jake Gordon. Band photo by James Corlett, O Productions Ltd.